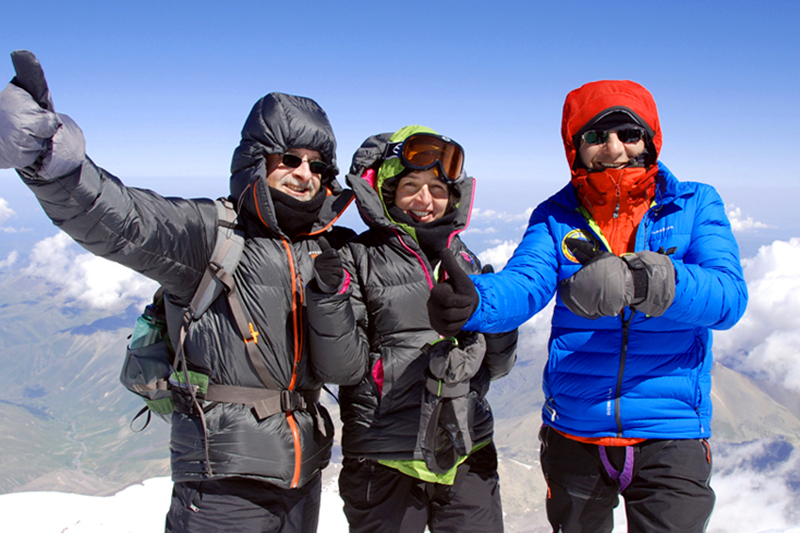 At the moment the Prielbrusya (Elbrus area) National Park requires to have just the Mt Elbrus climbing permit. If you are going to climb Elbrus, or if you plan to overnight at the huts at 3800m or higher, you need to have Elbrus climbing permit. Cost is 25 Euro per person. Every year the National Park change the regulation and conditions as well as the permit price can be changed. The permit can be obtained at the National park office in the Elbrus town. At the ski lift stations or at the mountain huts National Park rangers may ask you for the permit. If you have not obtained the permit in advance you can pay for that the rangers. Probably this is the easiest way to get the permit as such an option does not require extra time to visit to the Park office. If you plan to travel the area and climb other peaks (not Mt Elbrus), obtaining the Prielbrusya National Park Permit is not necessary at the present. The Elbrus Region is a border zone between Russia and Georgia and it is required to have border zone permit to visit some of the valleys. For the climbing of Mount Elbrus itself the border permit is not necessary. But if you plan visiting the valleys leading to the Georgian border (the valleys are usually south of the Baksan River) you must have the permit. At the every single valleys leading to the Russian/Georgian border there are military check points and if you have not border permit you will be allowed to enter the valley. If you try to avoid the check point control using different paths you may be arrested, taken to the nearest border office and fined. Even if you have the border permit it is prohibited to climb passes and summits located on the border line (on the main Caucasian Range). If you reach one of those passes you also may be arrested. The border guards are friendly but very strict if one try do something wrong. Both above cases will be reason to decline your request to obtain Russian entry visa in the future. The border zone permit is obtained at the border rangers' head office of the in Nalchik. You should apply a stamped letter of application from an organization with list of the valleys you are going to visit and full list of the group members including passport details and home/work contacts. They may require passports (or copy) of all participants. Issuing of the permit can take up to two months. They can provide the permit earlier but it is not guaranteed. The border permits itself is free. It is possible to arrange permits through a Russian travel company. Before requesting the border permit we recommend to make sure that you definitely need such a permit to visit the particular areas.